What is the difference between Listing Levels? The Economy listing allows limited plain text for summary and detailed descriptions, a limited number of keywords (user supplied search terms) and images and is automatically featured in the Daily Digests every 3 months (alternating between the summary display and the full display). Economy listings automatically rotate below the other categories in search results. The Standard listing (the most popular) offers greater visibility and flexibility with longer description limits plus more keyword and image spaces. You can format text with colors, bold, italics, bullets, numbering etc. as well as include links and embed videos. Your listing will be more visible on the page seated just below the Premium listings in search results and is automatically featured in the Daily Digests every 2 months (alternating between the summary display and the full display). The Premium listing offers the most room for text as well as the highest category, keyword and image limits. The Premium listing has enhanced graphics and is placed at the top for the search results and category displays for greatest visibility. It is automatically featured in the Daily Digests every month (alternating between the summary display and the full display). Premium listings also includes free design of a business directory banner ad should you choose to add one. Publishing the banner ad is $150 for 1 day/week for a year and is displayed in the Business Directory and the Daily Digest alongside the business directory listings. 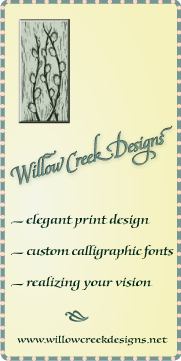 Banner design for Economy and Standard listings is $50. Can I have multiple listings for my different offerings? We offer a 50% discount for each addtional listing from the same person or business entity. So if you offer several distinct services that would benefit from being promoted separately and in separate categories (as opposed to having one listing appearing in several categories). Enter you first listing at the standard price and pay for that. Use discount code AddList50 for your 50% discount for your additional listing(s). Each additional listing would otherwise function as a regular listing, including being automatically featured in our Daily Digest. Each listing would accumlate it's own reviews. The discount would be persist for future renewals so long as you kept your primary listing current. The additional listings would need to be the same or lower listing level as your primary listing. You can briefly mention you other listings in each listing including a link to the listing (we can help you with that). How do I sign up to List My Business? How do I use the Editor Controls? How do I Add a Coupon to my listing? You can edit your listing at any time. 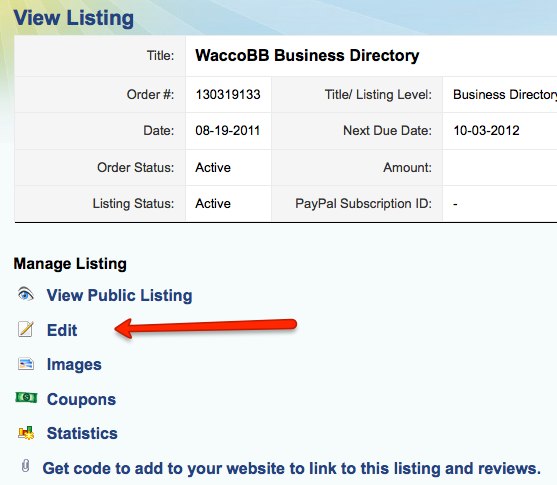 Your changes will appear immediately in the directory (after your listing is initially published). There is no additional setup fee for changing your listing. Cick here to go there. Standard Listings are automatically included in our Daily Digest every 2 months and Premium Listings are included in our Digest every month. See more info here. Please Contact Us if you'd like to upgrade your listing level. Business Directory banner ads run on all pages of the directory, except the home page. 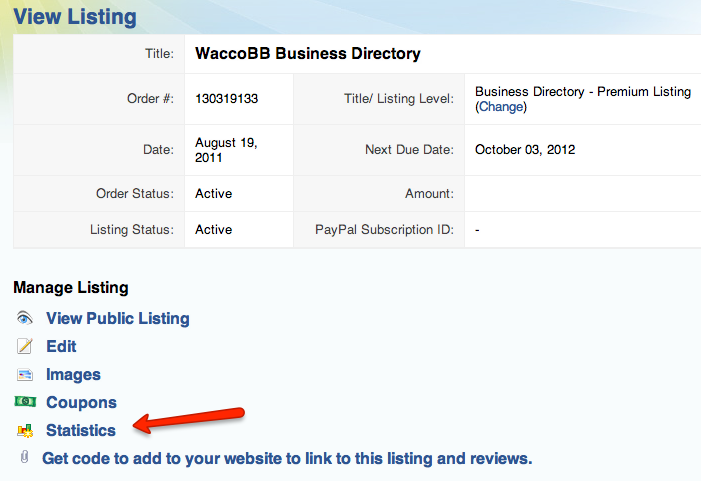 They also appear next to the Business Directory listings on digest. Design is included for Premium listings, and $50 for other listing levels. Clicking on the banner ad will take the user to your listing. Annual banner runs are most effective and affordable. Rates based on banners linking to your listing. Links to your website are available for an extra fee. Other payments plans can be arranged. Design is $60 for the first frame and $20 for each additional frame or you can supply your own image. If there is some special time-based offering you'd like to highlight (such as a sale or other special) you may post about it in the Sales & Timely Offers category on the bulletin board. This will be distributed in our Daily Digest email on its next issue. As with all your posting to the bulletin board, a signature will automatically be added that links to your listing. There is more information about using this category here. All your posts, both current and past, both on the website and in the digest, will contain links to your business directory listing that contains the current number of reviews and your average rating. This applies to both your commercial posting and your more community-oriented posts, such as reply to a referral request or participating in a conversation. By participating on the bullettin board it shows that you are an active member of the community and it helps build a relationship with the viewer. There service is included in your listing fee. We encourage you to participate to take advantage of this feature! We supply code for you to add to your website (or post to another website) that will display an image that includes your current number of reviews and average rating. Clicking on the image will take the user to your listing. Can I upgrade to a higher listing level? See the video below on how to change your listing level. We will refund you back the unused portion of your initial payment. Why is my listing always showing up in the same place? I thought it was supposed to be random by listing level! The listings are display in the same order for the duration of your "session". This is required for certain technical reasons. Other users will get a different random order of listings, within each listing level. Sessions end when you close your browser or an hour or so of inactivity. How does the Sales and Timely Offers category work? The Sales and Timely Offers category is meant for sales, specials and other time-related offers by your busines, but are not events (which happen at a specific time and place, and are still accepted in the Events, Classes and Meetings category). You may post up to 2 times a month to the this category once your meet the above requirements. As with all posts on the Bulletin Board from users with a Business Directory listing, and a signature link to your business directory listing will be automatically added, including your current review count and average rating. What are the conditions for a Free listing? Free Listings are available to people/busineses that offer services on a one on one basis for no more than $15/hour. Product offerings do not qualify for free listings, sorry. Free listings do not include coupons, appear in the digest less often, have smaller space for the title, short and long descriptions, smaller logo/photo and font size. However they should provide enough space to for your to describe your offer and they are eligble to recieve reviews. Conditions and contraints may change without notice. Click Here to start your free listing if you meet the above requirements.